Item # 307296 Stash Points: 1,595 (?) This is the number of points you get in The Zumiez Stash for purchasing this item. Stash points are redeemable for exclusive rewards only available to Zumiez Stash members. To redeem your points check out the rewards catalog on thestash.zumiez.com. The perfect addition for your cold weather wardrobe, Cords introduces their Heather Burgundy Fold Beanie. This simple accessory features a lightweight knit construction and displays a subtle brand tag located on the fold over cuff. 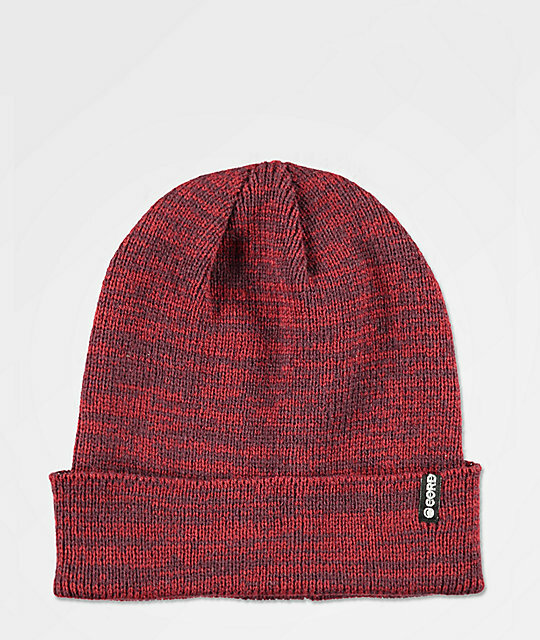 Heather Burgundy Fold Beanie from Cords. Heather burgundy and black colorway. Brand tag on fold over cuff.